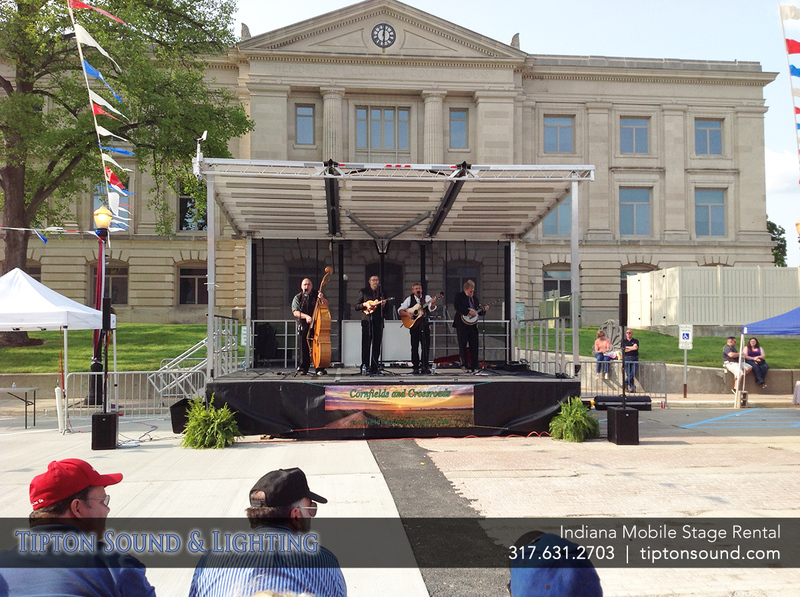 Our mobile stage has wind resistance of 80mph without windwalls and 60mph with windwalls. 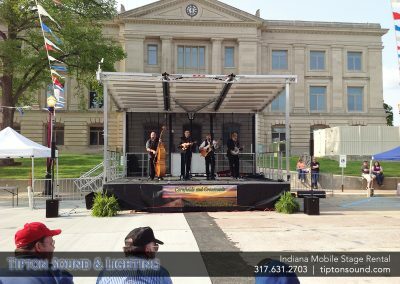 Our state-of-the-art outdoor, mobile stage can be setup in as little as 30 minutes! 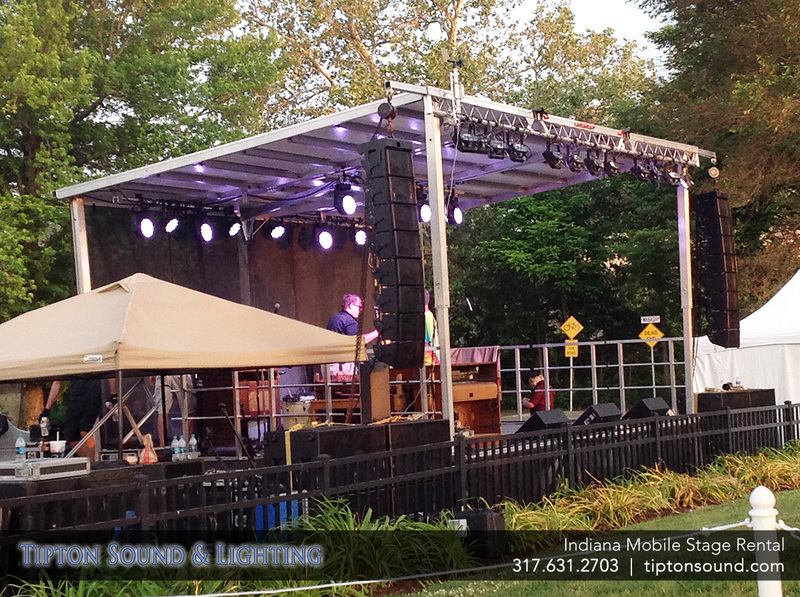 We’re your one stop solution for providing the mobile stage, sound system and stage lighting! 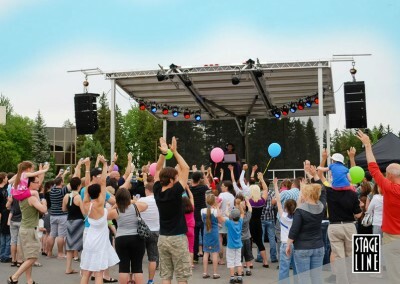 Our team can do it all! 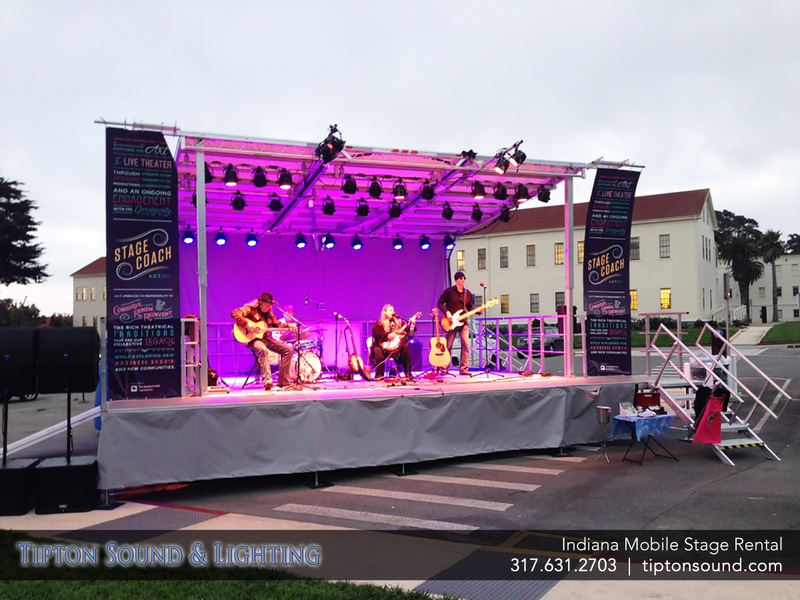 Our mobile stage trailer is only 24′ long and 8′ wide when in transit, so we can access those tough to get to spaces. 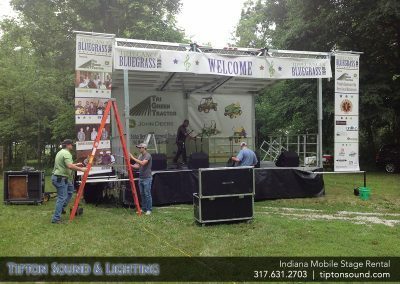 We can custom-tailor the size of your festival stage to match the exact needs, and budget, for your event. 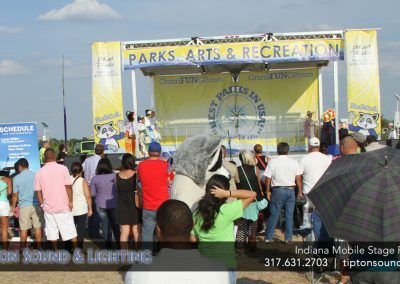 Sell sponsor banners for your outdoor, portable stage and the easily pay for your portable stage rental! 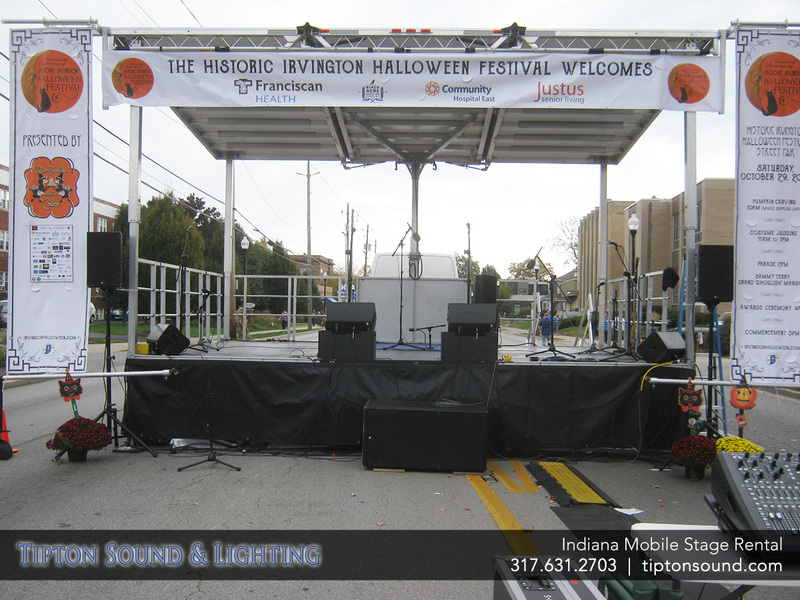 Sound System: Speakers, microphones, mixing, processing and more. 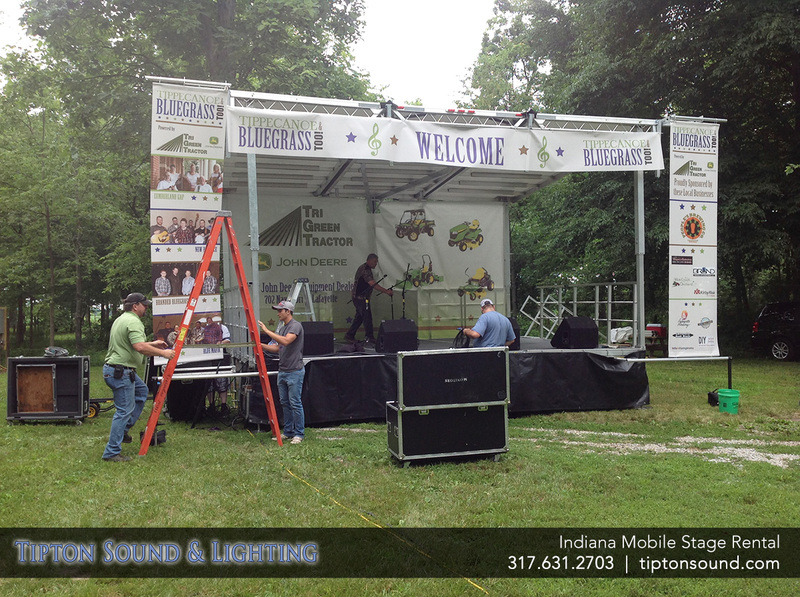 Stage Lighting: Truss, lifts, LEDs & conventional, movers and more. 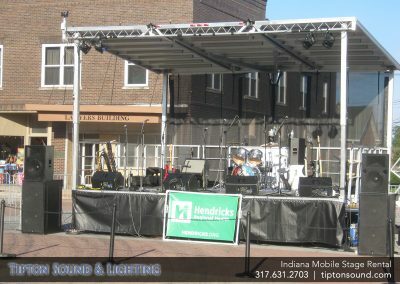 Backline: Guitars & amps, drums & percussion, keyboards, risers and more. 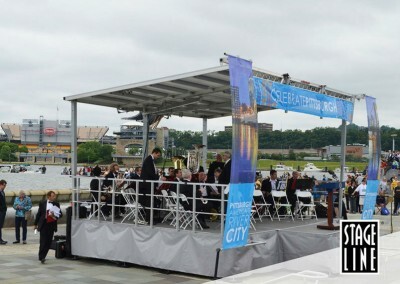 Generators & Power Distribution: 1.6 kW to 100kW. 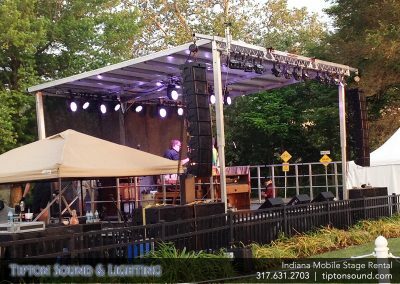 Take your next outdoor event to the next level with a safe, professional mobile stage from Tipton Sound & Lighting! 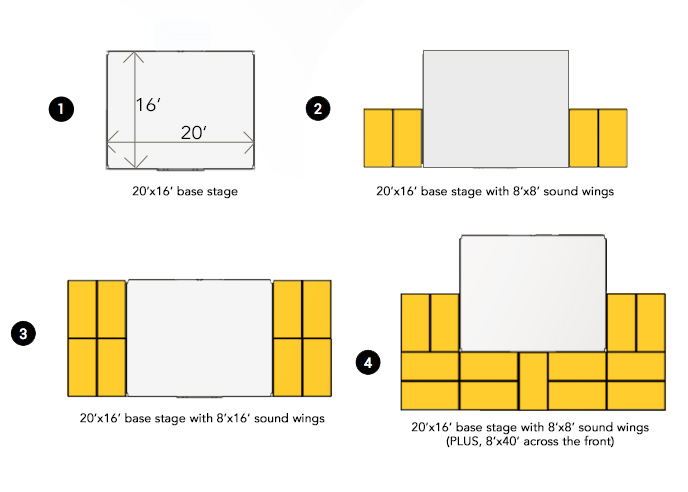 Our team of event professionals can work with your planning committee to design the perfect stage layout, and work to meet your production goals in timely, efficient manner. 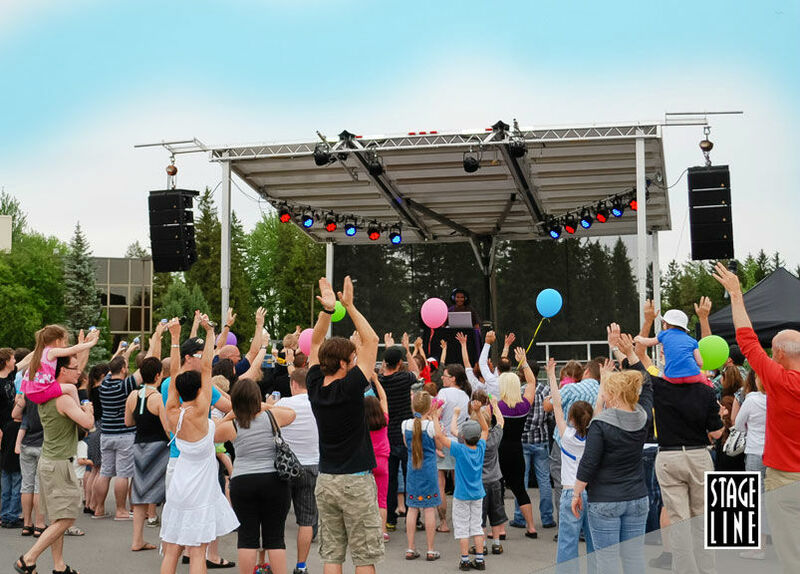 In addition to providing the outdoor, mobile stage rental (with roof), we can provide everything necessary for the power requirements, sound system and stage lighting. 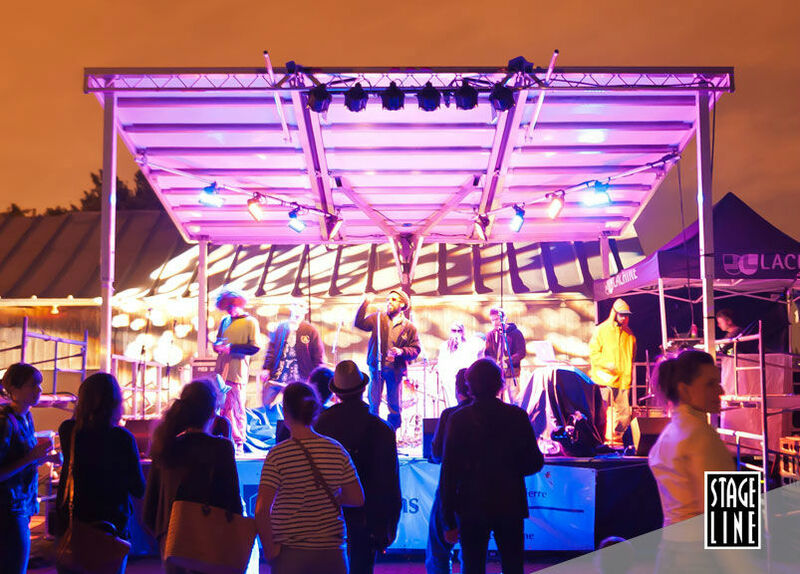 With our extensive background in live sound production, we’ll take the stress out of planning your next outdoor festival by providing a full-service solution. 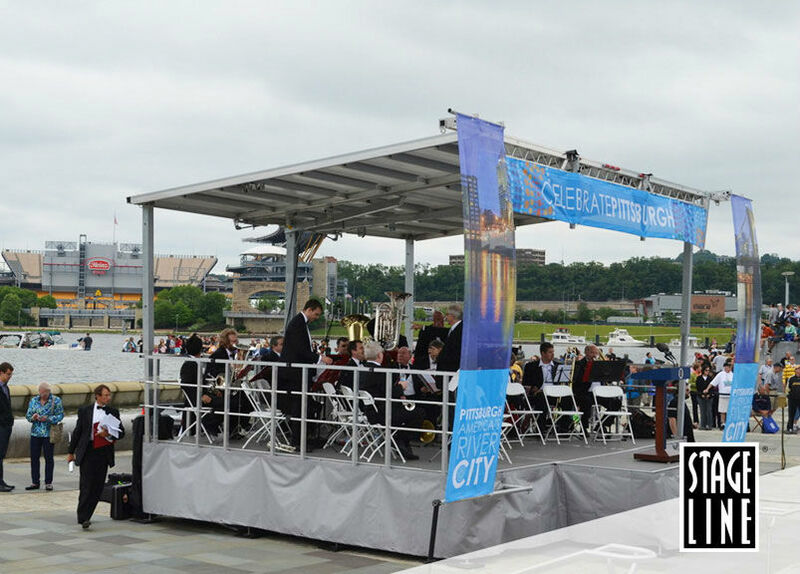 Our outdoor, portable stage is completely weather resistant and is designed to drain water to keep everyone on stage dry. 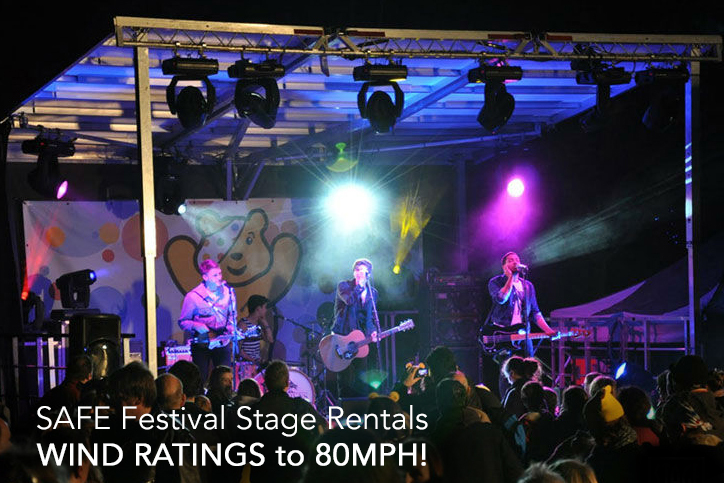 Additionally, the festival stage is built to sustain wind gusts up to 80mph without windwalls, and 60mph with windwalls. 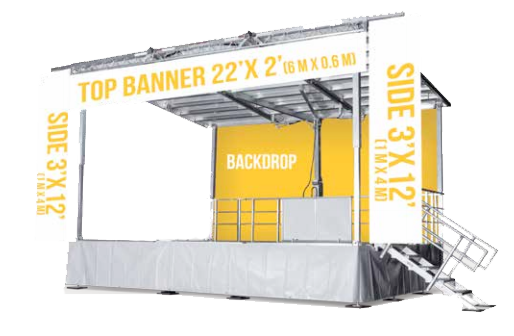 Our outdoor festival stage comes with stamped engineering documents and requires no site preparation, guying, or ballast to get your production up and running! 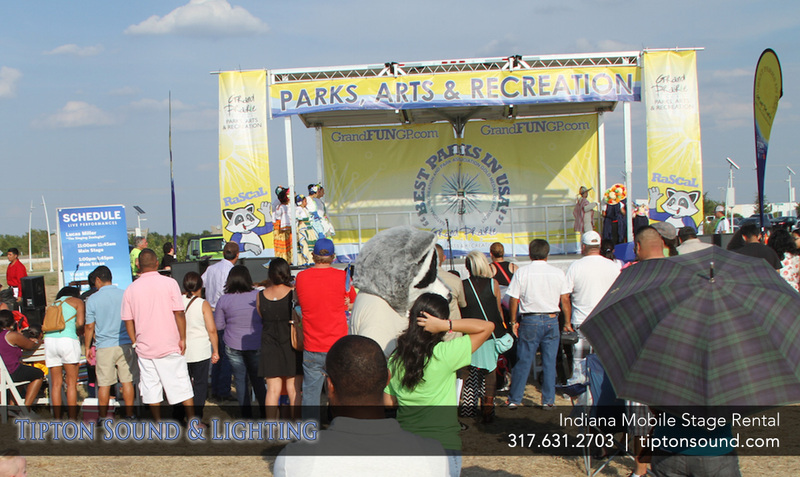 Simply provide an open space, and we’ll do the rest! 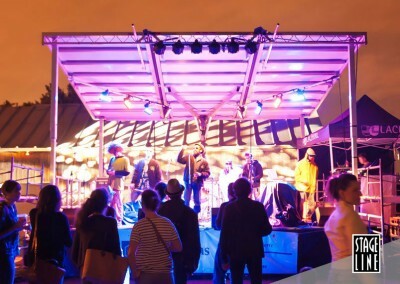 What About Sound & Lighting? 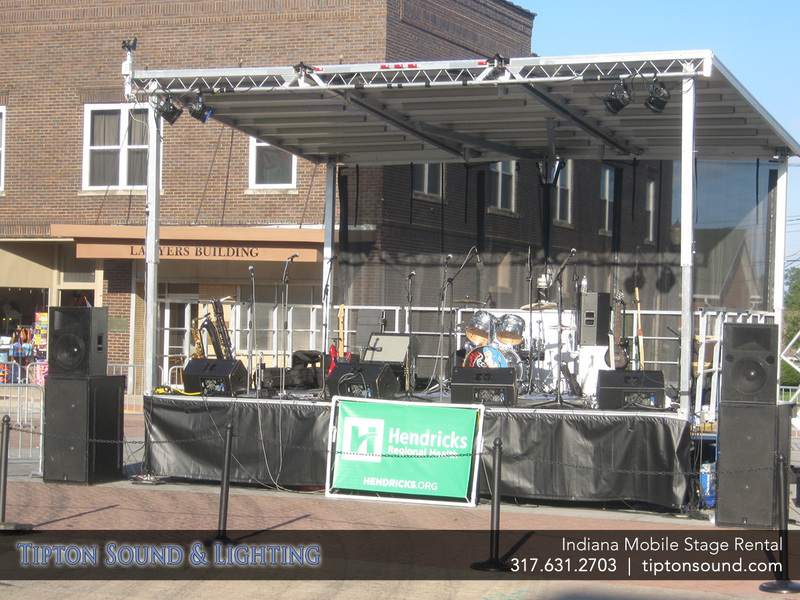 Tipton Sound & Lighting is a locally-owned, bricks n mortar business based in downtown Indianapolis. 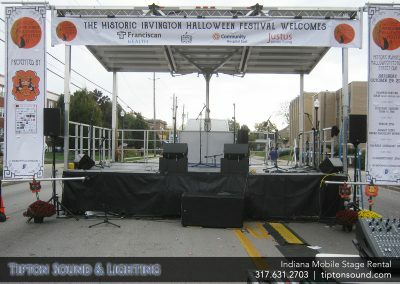 We’ve been in business since 1975, serving the event production industry with equipment rentals, and more! 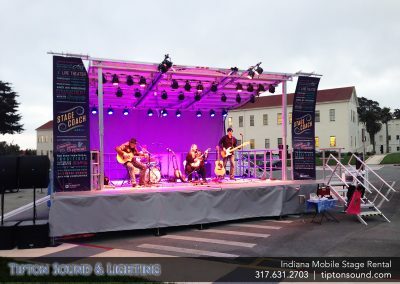 As a full-time event production company, we can provide you just the portable stage rental, or a full-scale stage rental with sound, lighting and the production crew (or any combination that you need). Call us anytime and we’d be happy to discuss your exact needs.